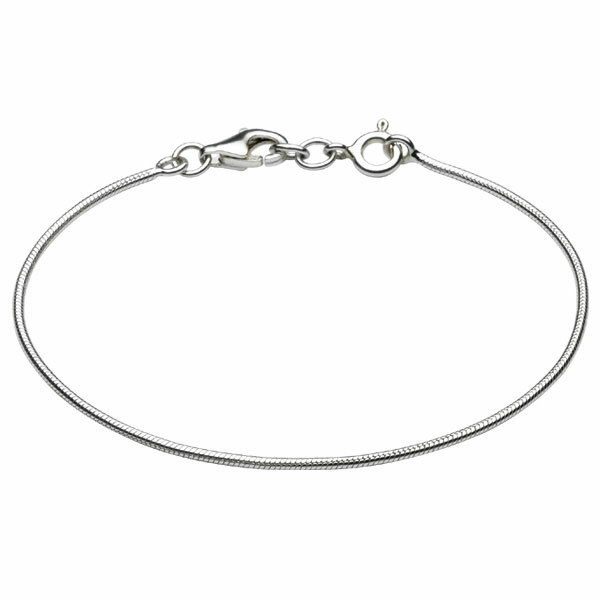 Add one or more adorable high-quality sterling silver beads to this bracelet chain. View all beads. 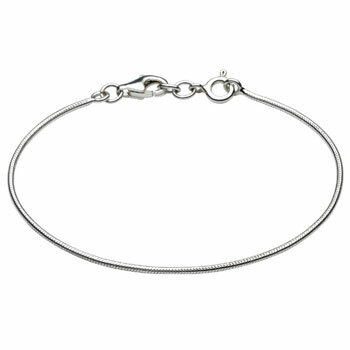 High-polished sterling silver rhodium bracelet chain for girls. Chain is designed for beads. Bracelet is a size 7 (8 - 16 years). Also available in a size 6 (5 - 10 years) as shown on the five year old child in photo.